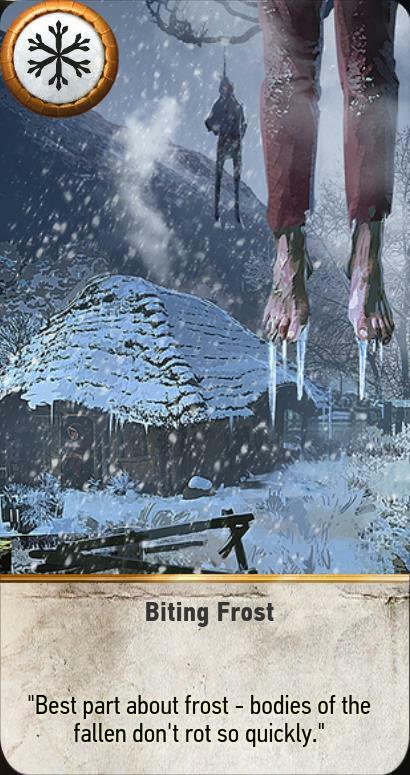 Biting Frost is a Gwent Card in the Witcher 3: Wild Hunt. For the card in the standalone Gwent game, see Biting Frost on the Gwent Wiki. "Best part about frost - bodies of the fallen don't rot so quickly." Special Ability: Sets the strength of all Close Combat cards to 1 for both players.